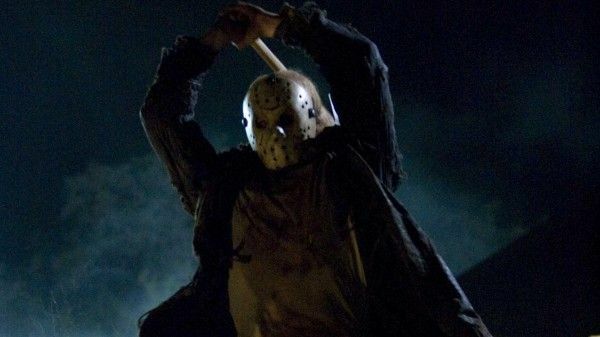 Paramount is still taking its time figuring out the right approach and release strategy for their upcoming Friday the 13th film. In the middle of last year their solo return (after splitting the 2009 entry 50-50 with New Line) to Camp Crystal Lake was pushed to November of 2015, but we’re almost in February of 2015 with no shooting in sight. So they’ve pushed the release back even further to May 13th, 2016. While this is frustrating to die-hard fans like me, I’d rather they nail this one and give the fans what they really want rather than delve into the tapped found-footage well for a rush release this year. The talented David Bruckner is still attached to direct and Platinum Dunes’ Brad Fuller and Andrew Form are onboard to produce. Paramount has a limited rights window on this property (apparently no matter how many sequels they make) so they have to get cooking soon if they want to make more than one of these things, which also requires making an entry the fans actually like. I hate it when know-nothing internet bloggers try and come up with hypothetical solutions to vastly complicated issues they don’t understand, but I’m going to go ahead and do it anyway. As someone who really dug Friday the 13th (2009), I’d love it if Paramount hit up New Line and figured out a way to use the Damian Shannon and Mark Swift script that was commissioned for that film’s sequel. Rumor has it that, after a winter-set opening, that version of the film returns back to a fully functional Camp Crystal Lake and has some insanely fun kills that were more elaborate than its predecessor. Keep Bruckner onboard and have him tackle it. As a die-hard fan that actually goes out and buys all this stuff, that’s what I’d want to see. And it’s already done. Boom. In other news, Paramount also moved Paranormal Activity:The Ghost Dimension from March of this year to October 23rd, 2015. This makes perfect sense. I liked the last installment, The Marked Ones, but giving fans a bit more of a break seems like a good idea and Halloween is a good fit for supernatural horror.